With the excessive intake of carbonated beverages, fatty foods, and high-sodium meals come a problem called bloating. Factors like swallowing of excess air while eating, food intolerance, constipation, water retention, and hormonal changes can all lead to bloating and indigestion. Thankfully, you can drink teas to help with bloating. Let's find out more about it. Feeling bloated can make you feel uncomfortable and even affect the quality of your life. The good thing is that you can find many natural remedies to deal with the problem. Here are some simple teas that will help improve your condition. An herb from the mint family, peppermint has some impressive medicinal properties. It contains a compound called menthol, which is responsible for its healing properties. Thanks to its analgesic effects, it works effectively to treat digestive problems, such as bloating and gas. It helps ease tense muscles in your digestive tract and makes it easier to get rid of gas quickly. Direction: Take a cup of boiling water and add a teaspoon of dried peppermint leaves to it. Leave it for 10 minutes. Then, strain it and drink slowly. It will help treat bloating, but avoid it if you also have gastroesophageal reflux. It has been used to treat anxiety, insomnia, and digestive discomfort for centuries now. The presence of volatile oils called terpenes makes it effective against digestive disorders. It also contains a compound called eugenol, which is responsible for easing muscle spasms in your digestive tract. This in turn makes it easier to get rid of gas. 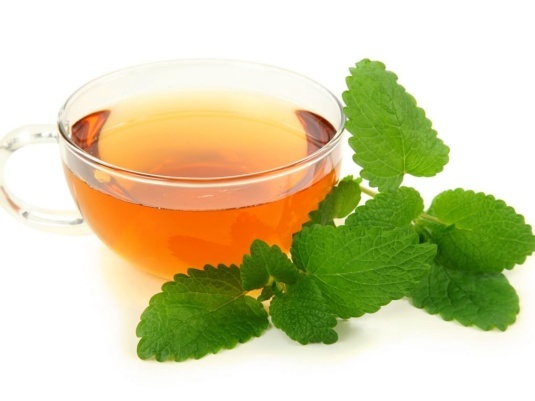 Direction: Take a cup of boiling water and add a teaspoon of lemon balm leaves to it. Let it steep for about 10 minutes and then drink it slowly. It is one of the best teas that help with bloating, but you should keep in mind that it could cause drowsiness. Do not drink this tea if you are already taking antidepressants. Thanks to its carminative properties, fennel seed works amazingly well to promote digestion. It keeps you from feeling bloated in the first place. When combined with anise seed, bicarbonate, and dill, it helps treat flatulence and colic in infants. Direction: Take a tablespoon of crushed fennel seeds and pour a cup of boiling water over it. Strain it and drink slowly. The tea will ease muscle cramps and improve bloating immediately. You may want to avoid this remedy if you have epilepsy. 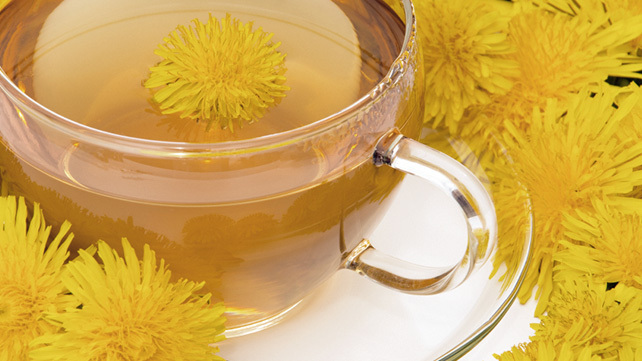 Known for its rich, earthy flavor, dandelion tea serves as a perfect substitute for coffee. It has many medicinal properties and helps relieve bloating and gas quite effectively. It also works as a diuretic, so it proves quite beneficial if your bloating is due to water retention. It also provides you with potassium and is good for your digestive system. Direction: Simply add dandelion root to hot water and let it steep for a few minutes. Strain it and drink daily to reduce bloating and other symptoms of digestive disorders. Inflammation in the body is often the reason why you end up dealing with bloating. That inflammation could be the result of eating spicy foods, chemical additives, and dairy products. Going for a cup of ginger tea may help because ginger works by blocking several enzymes and genes in the body. It reduces bloat-causing inflammation and eases stomach pain at the same time. Direction: You can make a cup of ginger tea simply by adding some to boiling hot water. However, you can also use a blend of cardamom, cinnamon, ginger, and cloves to get better results. Including bilberries in your diet is a great way to prevent bloat-inducing inflammation. 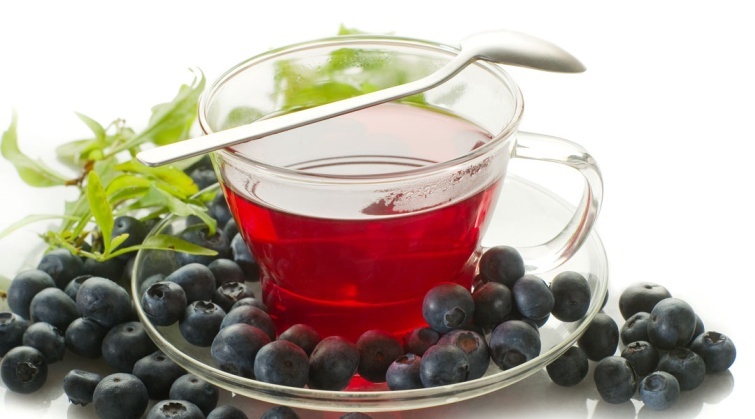 Bilberry tea will also serve as one of the best teas that help with bloating. Direction: You can make a cup of bilberry tea by adding it to boiling hot water. Be sure to drink a few cups a day to get positive results. When your diet includes salty foods, you are likely to feel bloated. Hormonal fluctuations may also lead to the same issue. Thankfully, you can treat these issues by enjoying a cup of hibiscus tea. The hibiscus plant contains medicinal properties and is beneficial mainly because it contains flavonoids and many other important compounds. It works by affecting the hormone called aldosterone, which helps regulate electrolytes and water balance in the body. Direction: You can use the regular method to make hibiscus tea, but be sure to drink a couple of cups a day to treat bloating and even lose weight more effectively. A hot cup of lemon tea will work amazingly well to treat bloating. Lemon tea proves effective because of the presence of D-Limonene, which has diuretic properties and makes it easier to eliminate excess water from your system. 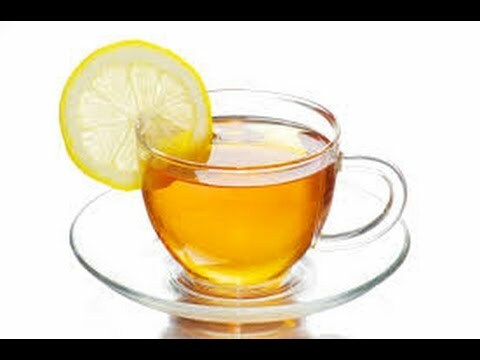 Direction: Drink a cup of lemon tea if you have eaten some salty foods. You can include it in your diet and drink regularly because lemon tea is also among the best teas that help with bloating. Cinnamon is among the best remedies to treat stomach upsets. It encourages the passage of gas and helps reduce pressure on your stomach. This in turn helps treat bloating in an efficient way. Direction: Take a stick of cinnamon and add it to boiling water. Add a dash of honey as well. Once it is warm, drink it slowly. Be sure to drink it daily to promote digestive health. It works great to treat bloating and relieve acid reflux. 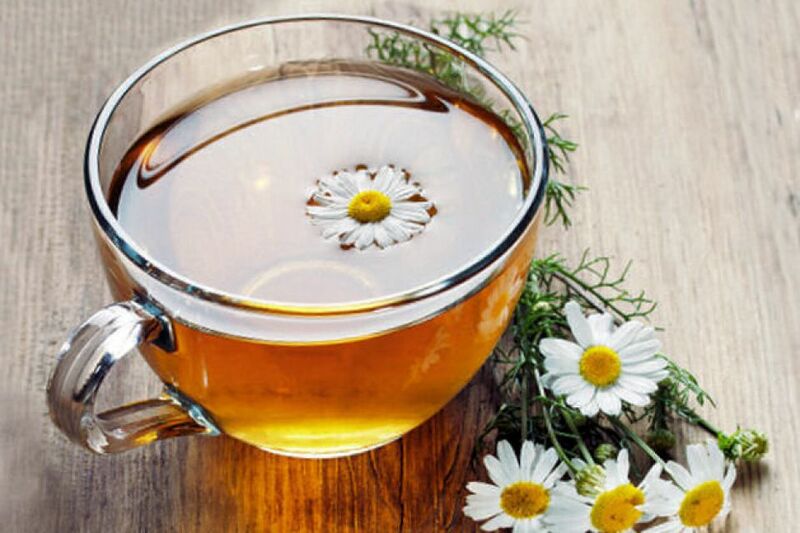 You can also go for a cup of chamomile tea if you are experiencing any discomfort due to overeating. Direction: You can find prepackaged teabags to make chamomile tea. Be sure to drink one cup every day. It is a much healthier alternative to coffee and black tea. What Happens If You Eat Too Much of Protein? What Happens If You Drink Soda Every Day?